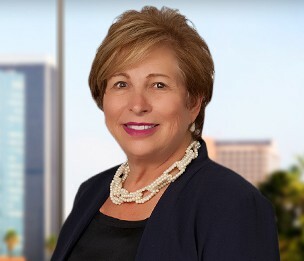 Laura Worsinger is Senior Counsel to Dykema and has more than three decades of counseling and litigation experience. She specializes in two highly regulated areas of the law: employment and trade regulation. Ms. Worsinger is an expert on trade regulation, marketing and promotional matters. She has substantial experience advising clients as to pricing programs, product labeling and in-store and internet sales and advertising. She defends clients with respect to federal and state trade regulation claims involving pricing, contests and sweepstakes, telemarketing, privacy and unfair and deceptive practices. Her skill in aggressively dealing with regulatory agencies and private attorneys general has resulted in excellent outcomes for her clients. As a former official with the Federal Trade Commission, Ms. Worsinger headed up national antitrust investigations of wholesale and retail pricing in the apparel and consumer electronics industries and obtained numerous consent orders. She also spent five years in-house, representing the JC Penney Company. Ms. Worsinger has represented many prominent companies engaged in both manufacturing and retailing, including: Nike, VF Corporation, VF Sportswear, Tommy Hilfiger, Manhattan Beachwear, Nautica, Kipling, Lucy Sportswear, BCBG, Michael Stars, 7 Jeans, Big Dog, ABS, Laundry, Juicy Couture, Perseption, Irene Neuwirth, Borghese, Baby Lulu, Francesca's Collections, Un Deux Trois, Sugarbrand, Nzania, John Paul Richard, Lunada Bay, Lamps Plus, JC Penney, Macy’s, John Varvatos, Brooks Brothers, Hurley and Cole Haan. Also as a member of the Executive Board of the California Fashion Association and an authority on regulatory issues in the manufacturing and retailing industries, she consults industry leaders on legislative issues and critical national and global trade matters, specializing in compliance with regulatory requirements. Ms. Worsinger is a specialist at matters involving the employer-employee relationship including discrimination, harassment, retaliation, minimum wage and overtime, representing clients before state and federal courts and administrative agencies, such as the Department of Labor, the Equal Employment Opportunity Commission, the California EDD and the California Department of Fair Employment and Housing. Her expertise and uncommon knowledge of wage and hour law has enabled her to develop and implement policies for clients that are compliant with diverse federal and state requirements. This includes numerous regulations, including the eight hour day, employee classification, meal and rest periods premiums, the California Wage Orders, the Private Attorney General Act ("PAGA"), "Waiting Time" penalties and Itemized Earnings Statement requirements under the Labor Code. Ms. Worsinger heads up a Dykema litigation team that succeeded in defeating class certification in a number of wage and hour class actions brought against national apparel manufacturers and retailers, food processors and restaurant chains. She has also defended dozens of discrimination and harassment claims, most of which she was able to resolve at minimal cost to her clients. Her program, "It's Fit that Counts," has helped clients properly classify workers, avoid expensive claims, defeat class actions and prosper in highly regulated states. She has developed preventative policies to avoid WARN Act claims for clients dealing with downsizing and layoffs. California mandates that employers with 50 or more employees anywhere in the US provide Sexual Harassment Prevention Training. Ms. Worsinger has created a state of the art interactive program that assists supervisors in preventing and responding to sexual and other forms of harassment and provides mechanisms to implement and promptly address and correct wrongful behavior. California laws place strict limitations on employers' ability to control employee competition. She has designed unique non-compete, non-solicitation, non-disclosure and arbitration agreements that have withstood challenge in California courts and provided significant protection for employers. An expert on the Fair Credit Reporting Act, Ms. Worsinger counsels employers on credit and criminal reports and on employee investigations and reference checks. Will Your California Business Be Able to Survive the New Department of Labor Overtime Rules? "LA Paid Sick Leave Law: Another Bitter Pill To Swallow"
"California Employment Law Update—What's New in 2016"
"What to Expect When Your Employees are Expecting"
"Employee Seating Requirements In California"
"State and Federal Regulations Impacting California Employers in 2011"
"Employee Expense Reimbursements: Best Practices for Avoiding Wage/Hour Claims"
"Surviving I-9 Audits and No-Match Letters"
"Pre Employment Screening-Tips for Background Checks"
" 'Enquiring Employment'—What You Need to Know Before Investigating Applicants and Employees"
California Employers—What Awaits in 2017? The California Supreme Court Meal and Rest Period Ruling in the Brinker Case: What Should Employers Do Now?